I liked Brockville, and was saddened to see it go. A real old-fashioned Scottish ground – an imposing big stand, and the terraced areas all within feet of the touchlines. That claustrophobic Hope Street enclosure opposite the main stand really could be a mad, bad and dangerous place to be at times. My first experience of the place was a Scottish Schools Under-18 International between Scotland and England in May 1983. As part of a 3,000 strong crowd I watched Scotland come back from going a goal down in a minute, to win 2-1. The star of the show being a wispy, long-haired winger by the name of Malcolm Adams who just bedazzled the English defence time and again, setting up an equaliser for David Winnie (later to win the Scottish Cup with St Mirren, before becoming a lawyer), and then scoring the winner himself. He looked a young man with a bright future ahead of him - but his career eventually consisted of just a few dozen outings for Ayr United before dropping off the radar, after fleeting appearances at QOS and Stranraer. 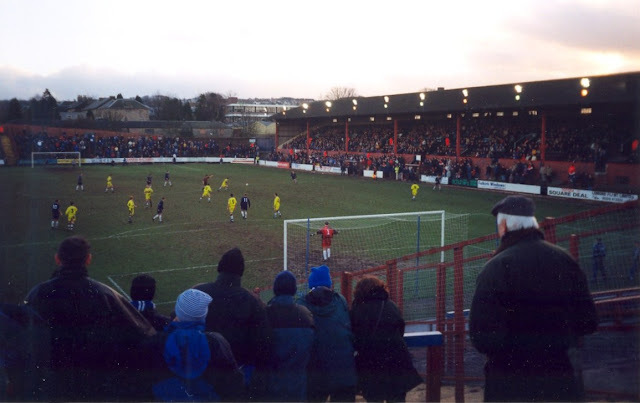 For this match in 1998, for reasons I cannot quite recall I chose to stand in the away end, with the few hundred Morton fans who had made the trip from Greenock. 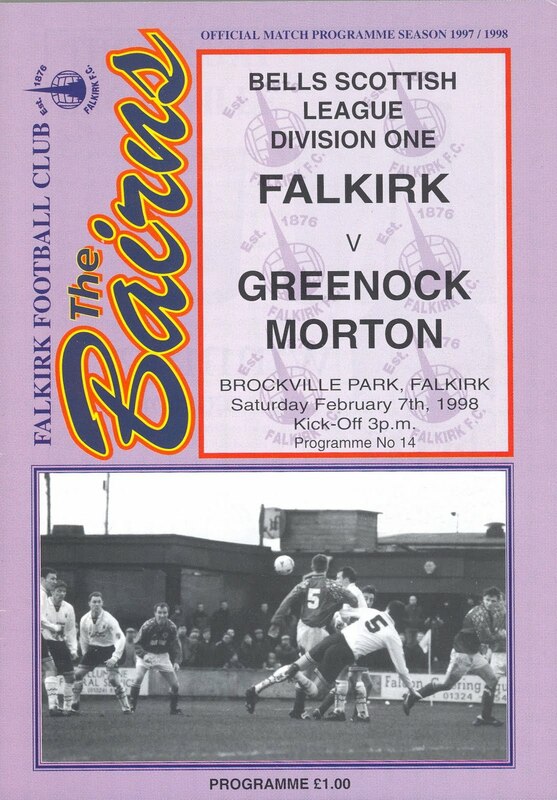 The clubs were at this point sitting at opposite ends of the table: Falkirk second, in contention for the single promotion slot, with Morton two points adrift at the foot. 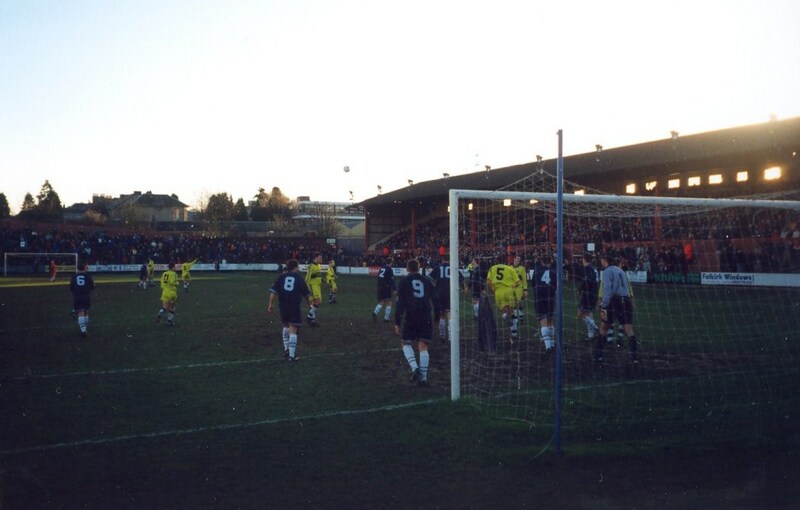 Falkirk opened the scoring after only two minutes through Englishman David MOSS, with the visitors equalising just after the break, when a whole clutch of players on both sides watched apparently mesmerised as Kevin TWADDLE’s innocuous cross dropped into the net. Brockville was very much on her last legs by the time of this match, with a whole corner of the ground roped off. 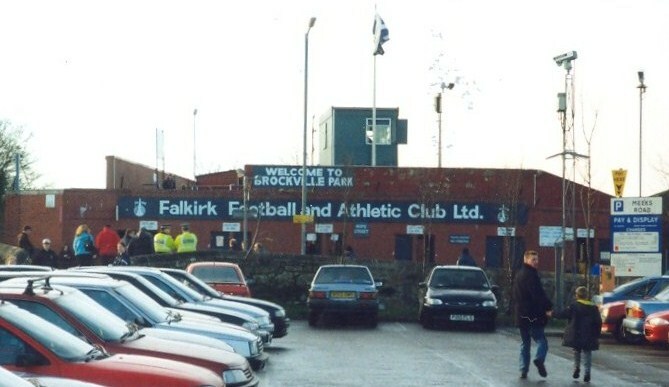 Falkirk FC finally signed off at Brockville in May 2003, with a 3-2 defeat to Inverness. 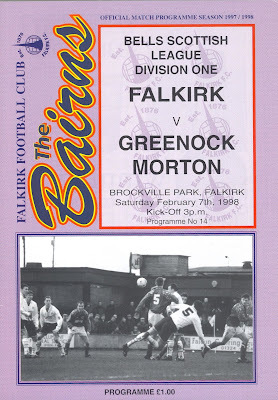 A season groundsharing with Stenhousemuir followed, before the club moved in as tenant to the newly completed Falkirk Stadium on the eastern edge of the town. 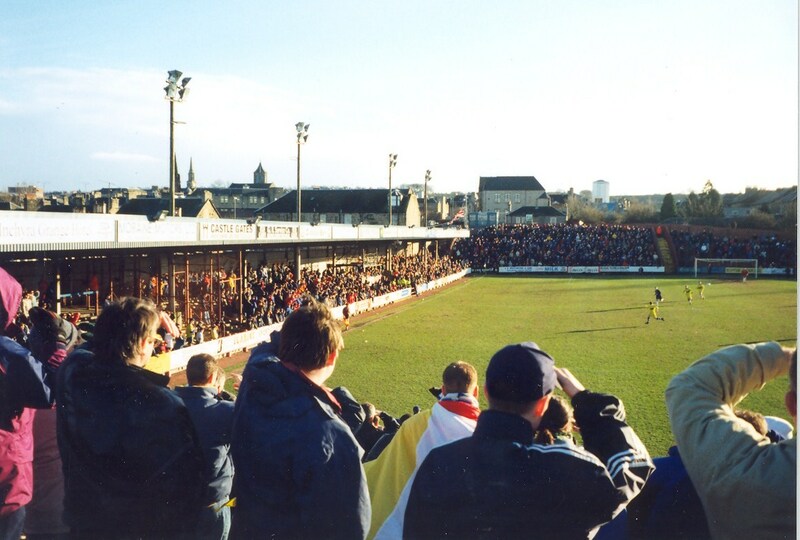 A Morton corner-kick comes to naught. The Brockville turnstiles viewed along Cooperage Lane in 1998.